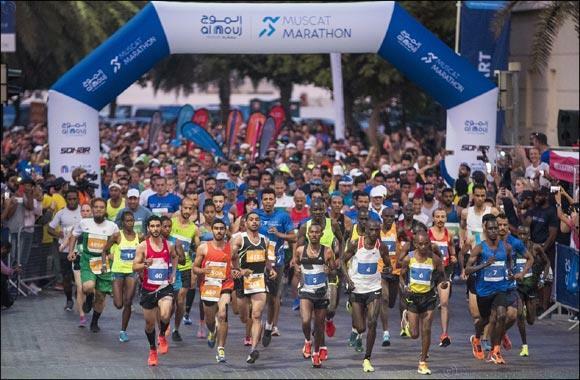 (MENAFN - Dubai PR Network) Dubai, UAE, January 21, 2019: Al Mouj Muscat, Oman's leading Integrated Tourism Complex and lifestyle destination, hosted the biggest ever Al Mouj Muscat Marathon on January 18 and 19 with almost 8000 runners taking part, a 25% increase compared to 2018 edition. The two-day festival of running attracted a record numbers of visitors to Al Mouj Muscat. Commenting on the success of the race, Nasser bin Masoud Al Sheibani, CEO of Al Mouj Muscat, said: 'The record-breaking 2019 Al Mouj Muscat Marathon saw 103 different nationalities taking part, demonstrating the growing popularity of Muscat to host large international sports events. Each year we aim to be bigger and better and we would like to thank our community and the visitors from across the world for their great support for the participating runners and this significant event which brought to them memorable experience and great moments for everyone. 'Through attracting and hosting such global events, Al Mouj Muscat remains committed to contributing to the growth in the tourism sector, particularly sports tourism, in alignment with the Oman 2040 Vision to help position Oman as a worldwide destination for international events. In addition, we are focused on promoting the benefits of health and fitness amongst the community and will continue to do so throughout the year with an exciting upcoming calendar of events, Al Sheibani added. The 2019 Al Mouj Muscat Marathon again featured six race categories, the full marathon event along with the half-marathon, marathon relay and 10km run held day one, with the Kids' Run and 5km charity fun run held on the second day. Al Mouj Muscat hosted Paula Radcliffe, iconic British world record marathon champion as the international figurehead for the marathon's eighth edition. Radcliffe introduced and flagged-off the start of the marathon, before taking part in the 10k event. As the title sponsor of the marathon event run by Oman Sail, Al Mouj Muscat has demonstrated its continued commitment to hosting and increasing the number of Muscat attractions and meeting the ever-increasing local, regional and international demand for long-distance running events. The destination will host several globally recognised sporting events this year including the Tour of Oman, Oman Open for golf and the Extreme Sailing Series.